Roger Federer won his last Australian Open title in 2010. It is that time of the year when the snow is blowing while ice drips off your nose in the Midwest. Meanwhile, tennis moves “down under” to the warmth of the Australian Open in Melbourne. The official draw unfolded on Friday. That is when we saw whether the No. 1 seed Novak Djokovic would face Roger Federer or Andy Murray in the semifinals, assuming all the usual suspects make it that far. Last year during the Australian Open Federer faced Djokovic in the semifinals, losing in straight sets 7-6, 7-5, 6-4 while Nadal, suffering from injury, folded early in the quarterfinals to fellow Spaniard David Ferrer. At the 2011 French Open, Djokovic suffered his first defeat of the season during the semifinals when Roger Federer upset him 7-6, 6-3, 3-6, 7-6. Nadal, on the other hand, breezed past Murray 6-4, 7-5, 6-4. In the final, Federer, who has never defeated Nadal at Stade Roland Garros, failed once again—losing 7-5, 7-6, 5-7, 6-1. When the tour moved on to Wimbledon, Djokovic and Federer were once again drawn into the same half. But this time, Federer did not meet Djokovic. He lost in the quarterfinals to an on-fire Jo-Wilfried Tsonga of France—even after winning the first two sets, 3-6, 6-7, 6-4, 6-4, 6-4. Nadal, once again, took care of Murray in the semifinals while Djokovic dismissed Tsonga. In the final, Djokovic prevailed with surprising ease over the now world No. 2 Nadal 6-4, 6-1, 1-6, 6-3. The 2011 US Open would prove to be the piece de resistance for Djokovic and a major blow for Federer. The Big Four made it to the semifinals where, once again, Djokovic faced Federer while Nadal manhandled Murray 6-4, 6-2, 3-6, 6-2. The other US Open semifinal should have gone to Federer who took the first two sets. But even after serving for the match in the fifth set, Federer remained unable to close it out and Djokovic came back to win 6-7, 4-6, 6-3, 6-2, 7-5. In the final, Nadal was once again unable to dominate the Serb. Djokovic won 6-2, 6-4, 6-7, 6-1—claiming his third major title of 2011 and the No. 1 ranking. After suffering a slump at the end of the year, pundits are once again pondering—can Djokovic do it again? Only time will tell. Right now, he must defend his title at the Australian Open. Odds are in his favor at the moment. Who will win the Aussie Open men’s title in 2012? For a change of pace, Djokovic has been drawn into the same half as the No. 4 seed, Andy Murray while world No. 2 Nadal is scheduled to face Federer in the semifinals, should both make it that far. 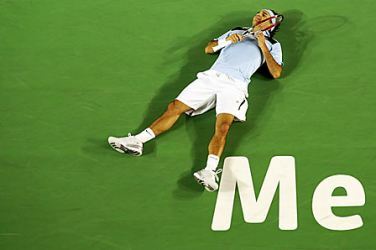 Here are the top ten odds-on favorites to win the 2012 Australian Open. 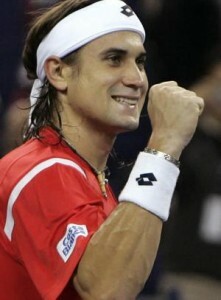 David Ferrer will look to break the hold of the "big three" in men's tennis. Ignoring Roger Federer, Novak Djokovic, and Rafael Nadal in the build-up to the US Open might seem like tennis heresy, but it’s a worthy gambit, if only to turn the spotlight on the other players in the top ten of the ATP World Singles Rankings. Spain’s David Ferrer, for example, is ranked sixth in the world, but is 80/1 in the US Open 2011 tennis odds, making him a rank outsider. 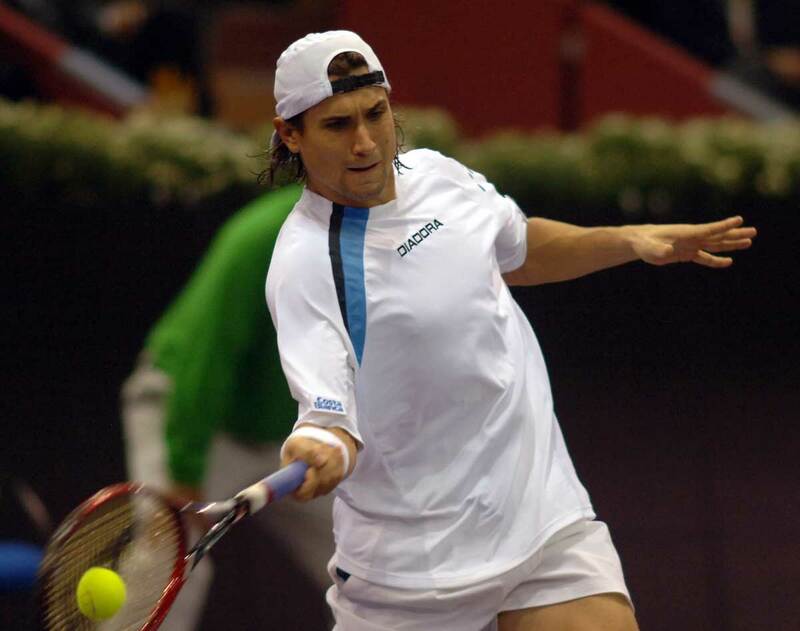 However, Ferrer reached the semi-final at the Australian Open, earlier this year and recently guided Spain to victory against the USA in the Davis Cup, where he beat world number nine Mardy Fish in the longest four-set match in the tournament’s history. David Ferrer hopes this is the year he can get past Rafael Nadal at the French Open. David Ferrer must be sick of the sight of Rafael Nadal. 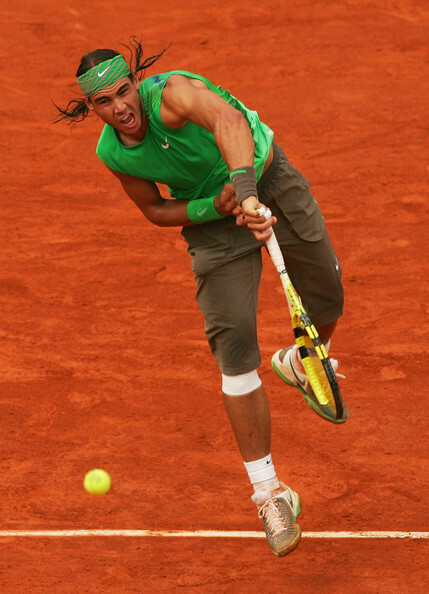 His Barcelona Open final defeat by the world number one was his second tour final loss to that player in a week and his fifth at the hands of Nadal in his career, all of which have come on clay. In reality he should be encouraged, as any player who regularly runs into Nadal must be doing something right, as it generally means you are playing well enough to reach the latter stages of tournaments. Those Monte Carlo and Barcelona defeats saw Ferrer push Nadal closer than most have in the king of clay’s current 34-match unbeaten run on the red stuff. He broke the champion on numerous occasions and created plenty of break points, leading 4-2 in the second set in Spain, but lacked the consistency to produce an upset.